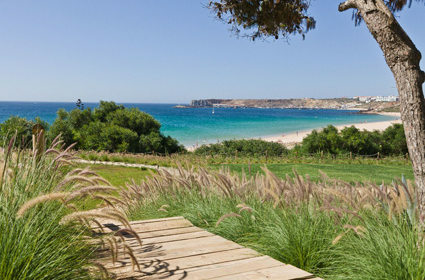 Praia do Martinhal Beach is located at the eastern part of the town of Sagres in Algarve. It is flat, sandy, and huge an its location makes it well protected from the westerly winds. The beach has a blue flag, a testament to the high standard of cleanliness and safety and security in the area, where you can also find several lifeguards, which you can approach for assistance. 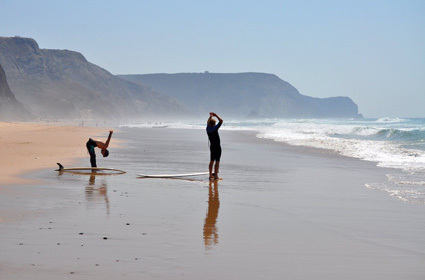 Parking is available, though there are some who prefer to stay in the villas, resorts, and apartment homes found near Praia do Martinhal Beach. 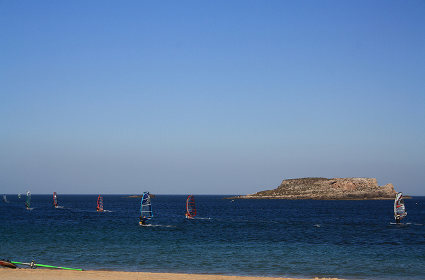 Some of the common activities at the beach include swimming, sailing, and snorkelling. However, thrill-seekers will be happy to find windsurfing, ballooning, and body surfing are also available. Surfing is popular too. In fact, there’s a surfing academy near the beach. If you don’t have any gear, you can rent them from the nearest facilities. If you are on the relax-seeking group you can just enjoy leisurely walks on the scenic shore or you can just enjoy the waters and your sunbed or sunshade. If you want to explore Martinhal’s Algarve region, you can head to some of the nearest beaches, such as Baleeira Beach, which is a fishing port that can hold around a hundred boats at one time. Alternatively, families and friends can take a walk toward the low cliff formations, which used to serve as a settlement of the Romans. 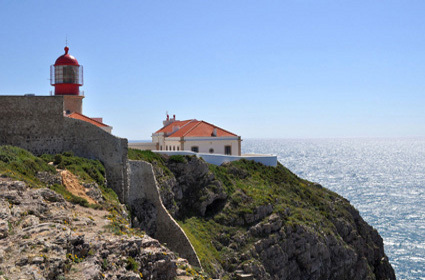 Hire a bike and pedal your way to Cape St. Vincent, the most south western point of Europe.